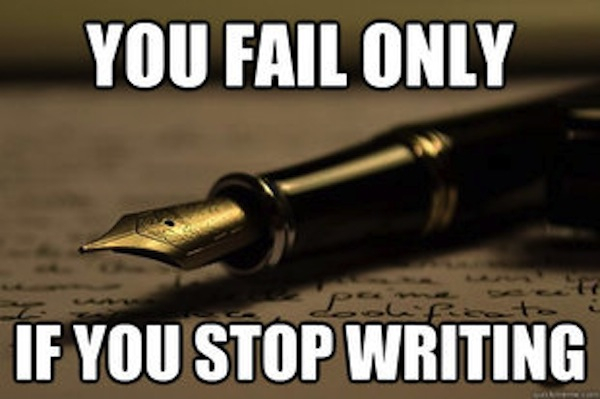 Write for the Sake of Writing! When I was twelve (when I was still innocent and highly idealistic), I decided I wanted to do three things when I get older: publish a novel, create a manga (or better yet, an anime), and develop a game. At that time I was like, “The easiest one is the novel, so why the heck, I’ll go ahead and do it now.” More than ten years later, here I am, still looking for ways to realize my dreams. As I grew older, I developed a twisted view on the world–how it is always only about popularity and how most people undervalue real talent. We’ve all been there, writing about what’s popular at the moment, to get more followers and more views. Heck, that’s even the main reason why social media boomed. However, in this blog post If Only I Had Connections by Rick Riordan (best known for his Percy Jackson & the Olympians series), he states, “Connections, at best, might get you a slightly longer and more polite ‘no.’ They help much less than you might imagine.” The only way to be good at writing is to practice, practice, practice. Make it a habit, a lifestyle. In the past, I only had sheer interest in writing fictional stories. Hence I’ll start working on “random shorties” to incorporate daily musings into short fictional stories (hopefully always with heart and a lesson in the end). This way I will be able to post regularly and practice my prose as well. So yeah. That’s it. 🙂 See you on my next post!